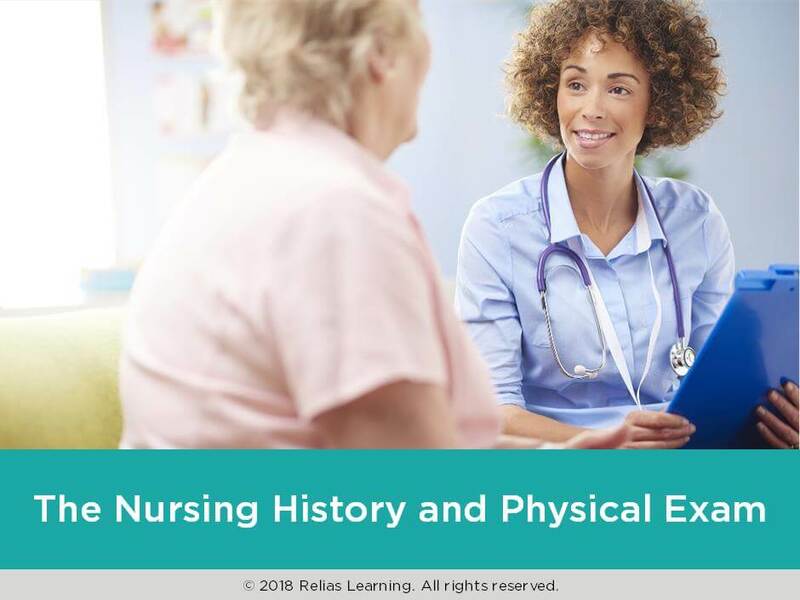 The comprehensive nursing history and physical is the first step and foundation of the nursing process. The collection of resident data helps you identify the individual’s needs, strengths, risk factors, and limitations. This, in turn, will assist in developing an individualized, person-centered plan of care. Additionally, the data collected provides a benchmark for comparison of future resident data, which will help identify changes in the individual’s health status. In this course, you will learn the basic principles and guidelines for completing the comprehensive health history and physical exam. In addition, you will learn about the other types of screenings you may need to perform for a thorough picture of the resident. Summarize the basic principles and guidelines for completing a comprehensive nursing assessment. Explain how to complete a comprehensive health history. Illustrate how to complete a comprehensive physical exam. Identify the other types of assessments and screenings that may need to be completed.